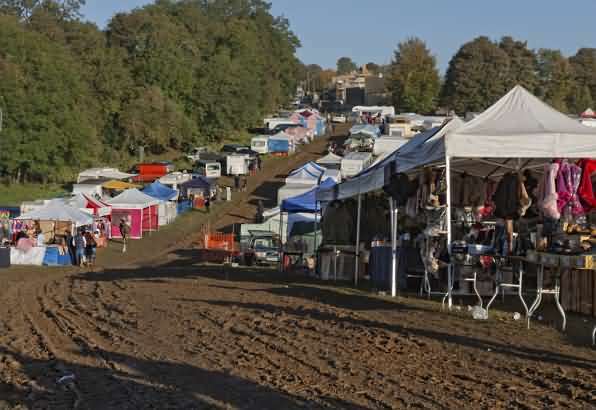 The gypsy horse fair attracts hundreds of sightseers to Stow on the Wold twice a year. 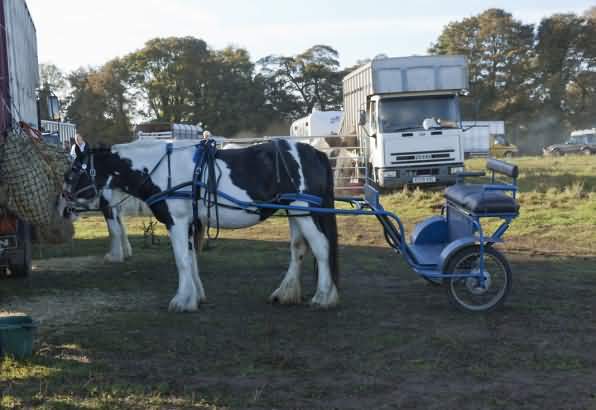 Gypsies gather from all corners of England for a meet and greet and hundreds of horses are paraded and sold, all in one day. It's quite a site! So how did it all begin and why Stow-on-the-Wold. As you might expect, when dealing with a Cotswold tradition, you have to go back a very long way. The Abbey of Evesham had obtained the Manor of Stow in 714 AD and their responsibility to the settlement was not only spiritual but also economic. Because of Stow's unique position at the convergence of eight trackways, it developed a capacity for trade. Travellers and traders from Wales and the west, from the Midlands and the Thames Valley would pass this way as would the carriers of salt from Droitwich in Worcestershire, fish from the Seven estuary and iron and charcoal from the Forest of Dean, all on their way to markets where they could sell or exchange their goods. 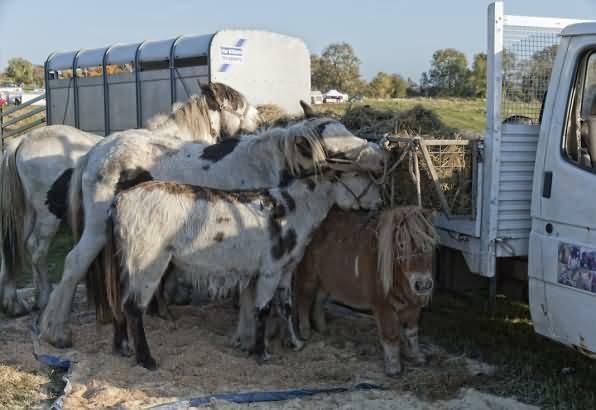 Stow was able to provide foods, shelter and stabling and because it was producing a surplus of farm produce could sell to the travellers. Stow was also able to sell the products of what we now call rural crafts such as weaving and spinning, pottery, saddlery and harness making. A regular exchange of goods took place and kind of informal market developed. After the Norman Conquest, contacts between England and the continent expanded via agents based in London and Stow was now within reach of travellers bringing more exotic goods such as silk and spices. The Normans were quick to encourage the creation of markets on Manor land as this ensured an outlet for surplus goods from the estates, and brought in a steady income. After the 11th century, there was a marked increase in urban development because of an acceptance of a more structured approach to trade and marketing. So, when the abbot of Evesham appealed to Henry 1 in 1107 for official recognition of the market in Stow it was readily granted. The charter gave the abbot and the people of Stow the right to hold their market every Thursday in the square, and to fix a payment for those who wished to use it. Over time, additions and concessions were acquired from the king so that Stow gained considerable status over other towns in the Cotswolds. 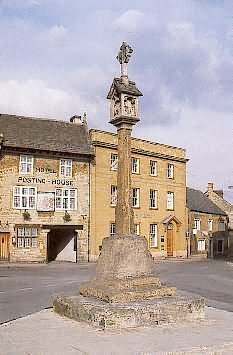 A market cross was erected as a symbol to people that they could do business safely and honestly. It's interesting to note that this market continued for 800 years, only ceasing about 1900. In 1476 the abbot petitioned for a charter for two fairs, the first in May and the second in October. The charters were granted for May 12th, the feast of Saints Philip and James and the October 24th the feast of St. Edward the Confessor and these dates are still used today to decide the gypsy horse fair. 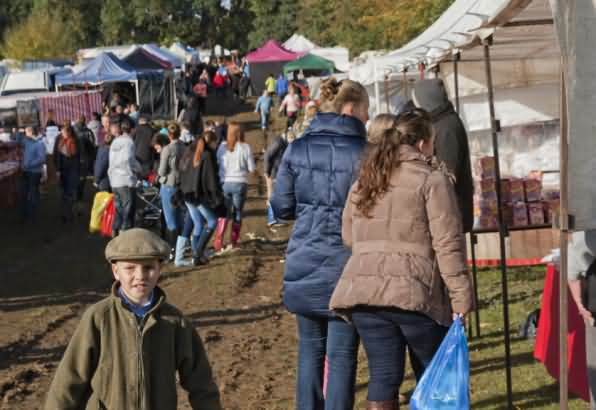 The main source of wealth in the Cotswolds was wool and by holding two fairs a year in Stow it allowed people in the surrounding hills to bring their sheep to be sold. Flocks would be driven to the perimeter of the town in the days leading up to the fair and then, it is said, driven to the square down the narrow alleyways we call 'tures' that radiate out in all directions from the town centre. These alleyways offered a good way to manage the sheep and it was once noted that 20,000 were sold on a good day. The fairs were also a public holiday and people would travel in to Stow to see what goods the Italian, French and Flemish traders had to sell. The foreign goods must have attracted great interest among Cotswold folk, there were dates and figs, olive oil, sugar and almonds, ginger, pepper and cloves. There were carpets, tapestries and soap, damask, taffeta and lace. Horses were imported from Ireland and this would change the character of the fair in later centuries. Adding to the colour would be jugglers, tumblers, and musicians playing fiddles and flutes. This was a major occasion and it drew in people from every strata of society, from labourers to bishops. In fact, there were many monastic buyers from the six monasteries within 35 miles of Stow. The town grew to provide the accommodation, food and stabling for the gowning numbers and it was able to offer the services of blacksmiths and wheelwrights. Tradition says that every house in the square was turned into an alehouse during the fair. Stow Fair became one of the largest in the country and it's influence showed itself in the way farmers made their plans for buying and selling livestock and the agreements they reached when hiring workers. A term of employment for farm labourers and domestic workers was based on the dates of the fair. In one village, no horse was sold until after Stow fair, in another village nearby, all lambs became sheep on Stow fair day and even my father-in-law never planted his runner beans until after Stow fair. As the importance of sheep declined in the Cotswolds the character of the fair slowly changed and it became a horse fair favoured by farmers, huntsmen, professional horse dealers and gypsies. In recent years the fun fair stopped visiting the town and the horse sales involving the farmers and dealers split from the travelling people and moved to Andoversford, about 6 miles to the east of Cheltenham. 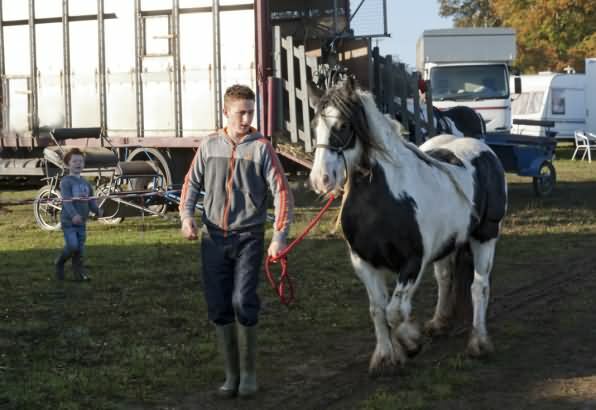 So now, we are left with the gypsy horse fair, one of the biggest gatherings of its kind in England. 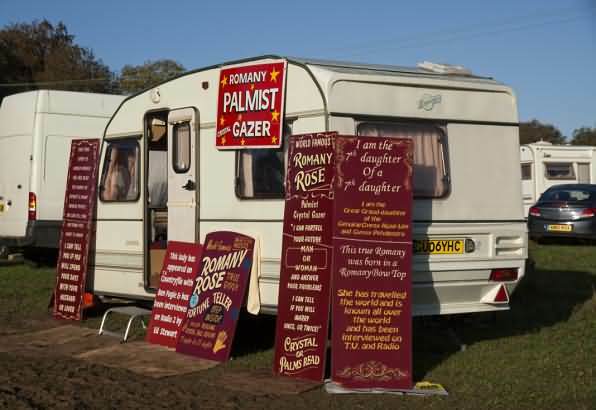 As many arrive in traditional horse drawn caravans, it as become popular with photographers, artists, and the public who don't want to miss the atmosphere of such a colourful event. 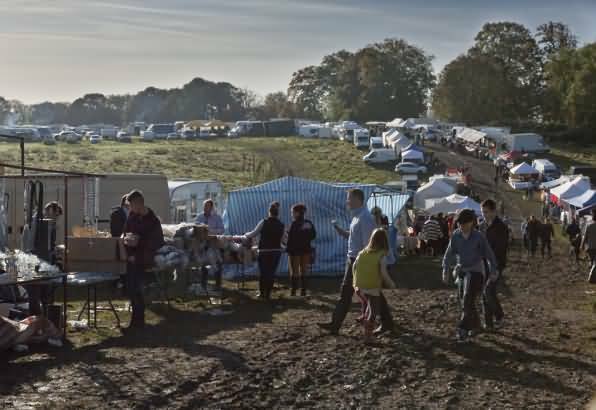 As I said earlier, the charter granted over 500 years ago, still decide the dates of the fairs; the gypsies always come to Stow-on-the-Wold on the nearest Thursday to May 12th and October 24th. Often it's easy to see which Thursday that will be after checking the calendar, but sometimes it could be the Thursday before or after the charter day.